Our three types of tours are designed to combine must-see highlights with undiscovered and unknown corners of the city. They are a fusion of art, history, customs and legends; will lead you through sunny and dynamic urban spaces, combined with rich cultural heritage. DIVERSITIES OF BARCELONA From highlights to undiscovered corners of the city In this tour you will see the Old city of Barcelona, which is one of the biggest in Spain and its most antique part, the Gothic quarter. It is a labyrinth of narrow streets and squares which hides many secrets and legends. During the tour the idea is to visit some local markets, parks, elegant promenades, and the former industrial zone called 22@ district. We can stop to taste some of the local food and drinks (matter of choice). We can finish with Olympic village and beaches. In short – this tour is conceived as a mix of everything so that you can get to know and feel the real Barcelona. EXTRAVAGANCE OF BARCELONA Gaudí and Modernistic architecture Creative works of Gaudí made Barcelona famous and on this tour you will see the whole itinerary from his early works up to his latest masterpieces like La Pedrera, casa Batllo or Sagrada Familia. His work belong to the larger style, Catalan modernism, characterized by extravagant decoration, curved lines, colors, mixture of materials, etc. You will also see buildings designed by other famous architects like Puig or Domenech and will learn to make difference between their styles. All these buildings belong to the large European movement Art Nouveau: in the district called Golden square and Eixample there are more than 2000 buildings having these features. Its 19th century urban plan is considered to be very futuristic and one of three most important ones in Europe of that time, together with Vienna and Paris. Find out why! This tour is combination of creative energy of modernistic buildings and futuristic rationality of urban plan: two ideas that create together the urban image of Barcelona. VILLAGES OF BARCELONA Former old villages transformed into authentic urban districts. When in 19th century the walls of Barcelona were destroyed, the city started spreading rapidly thanks to the industrial development associating nearby villages. They turned into urban districts these days, but keeping some of their local, authentic character. We can find about 10 of them within Barcelona and they all have the main square, pedestrian streets, church, town hall, market and are different one from another (Gracia, Barceloneta, Poble Sec, Clot, Poble Nou, Les Corts, San Andreu, etc). The idea of this tour is to see some of them, maybe 3-4 depending on your group, interest, places you have seen before, etc On this tour you will be surprised by urban mosaic of Barcelona and completely different areas standing one next to another.  Mountain bike tours: The first mountain bike tour that we offer is around the hill of Montjuic, right in the centre of Barcelona, giving breathtaking views over the city, the port, the airport and the Mediterranean sea. Going up the hill we are going to dive in the peace of this enormous green park. We are going to pass by Caixa Forum, a former textile factory and a modern art gallery and Poble Espanyol, an architectural museum that represents buildings from every part of Spain. More up we are going to see the Olympic ring with the Olympic stadium named after the former president Lluís Companys, Palau Sant Jordi, an indoor sporting arena and the Telecommunications Tower, designed by the famous Spanish architect Santiago Calatrava. An architect and a PhD candidate researching in the field of public space. 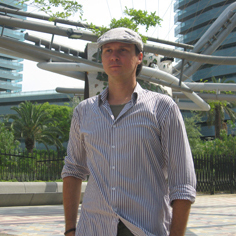 Lives in Barcelona since 2007 and is very passionate about the city. A part of practical architectural work in different companies or guest lecturing, he enjoys presenting Barcelona’s heritage to its visitors, sharing his experiences through bike tours. He loves to travel, discover new countries and the unique energy or every place. Reading a lot about this city in combination with long walks and cycling, he got to know Barcelona really well. There is no better way to get to know architecture, society and rhythm of Barcelona, but through someone’s personal impressions. Happy frog Happy frog is born out of desire to share travel experiences with other people. It is meant for all of you who share devotion for adventure, exploration and simply like to have fun. Wood Art House The passion and occupation of Hristo Kirilov is woodcarving, designing and building furniture, wooden toys, children’s playgrounds, tree-houses and lots of other interior and exterior artistic accents from wood. Teo Geo es una marca independiente! Friend Trips Destination Management Services to travel agencies, tour companies and representatives of any business, university or organisation. 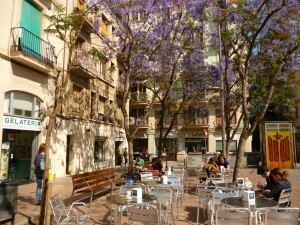 They can customize itineraries throughout Spain and specialize in the beautiful city of Barcelona.